* Now with air conditioning in all bedrooms! 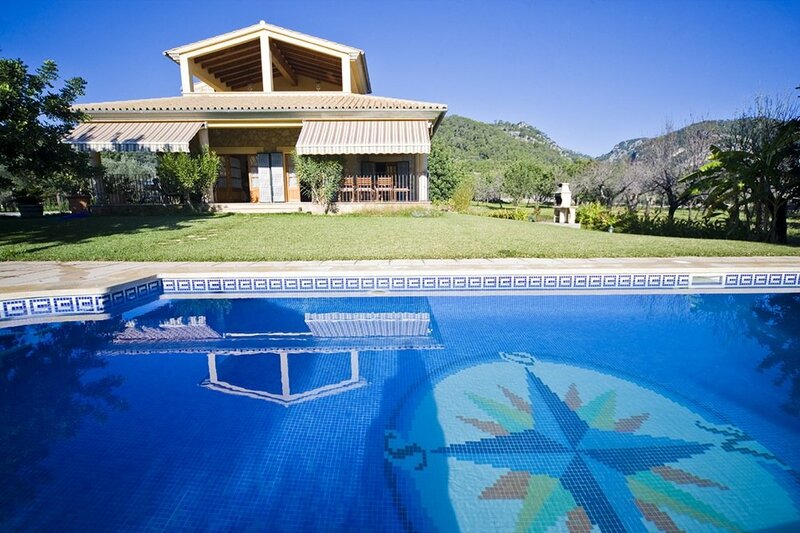 * Finca Sa Garriga is a very beautiful traditional Majorcan finca set in the countryside of the mountain Santa Magdalena. 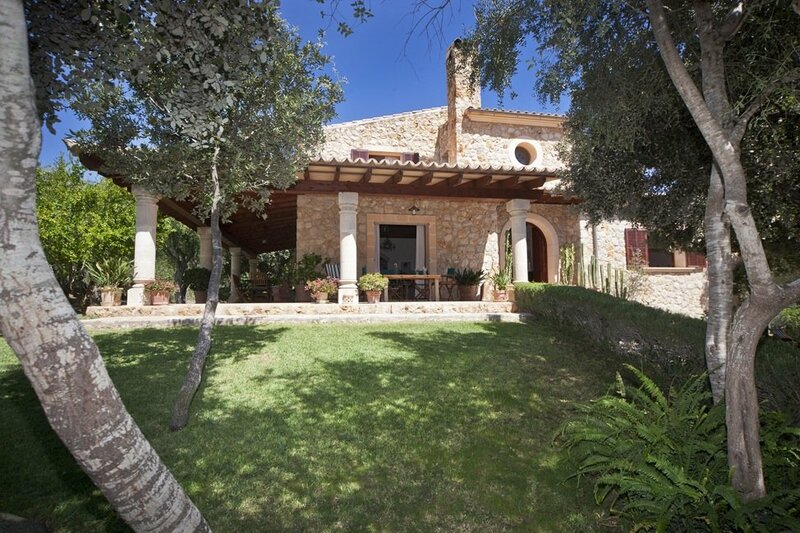 From the first floor it has incredible views of the Tramuntana mountain range in the distance. It has a lovely large private garden with fruit trees and spacious lawns which surround the finca and makes it an ideal retreat for families. The open plan kitchen, dining area and living room give a specious feel and are all directly connected to the covered terraces. There are 4 bedrooms with AC and 3 bathrooms of which one is en suite. Finca Sa Garriga features traditional beamed ceilings, terracotta and stone floors, covered terraces to the rear and side of the house, all suitable for al fresco dining. Adjacent to the 8m x 5m pool there is a terrace with a dining table for long lunches or dinners near the pool. At the back of the house there is a seperate little house with a summer kitchen, a large covered built-in barbecue, a traditional wood oven and a dining room.